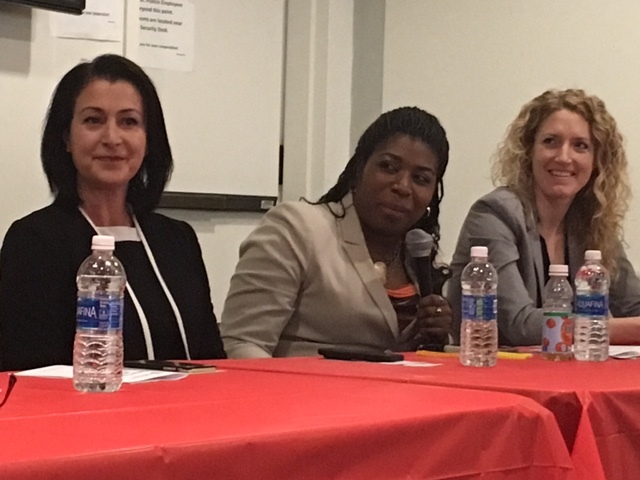 On Tuesday, March 29, Tunisha W. Walker, Senior Vice President of Capalino+Company’s MWBE Consulting Group, joined a panel of highly successful women entrepreneurs in celebration of Women’s History Month. 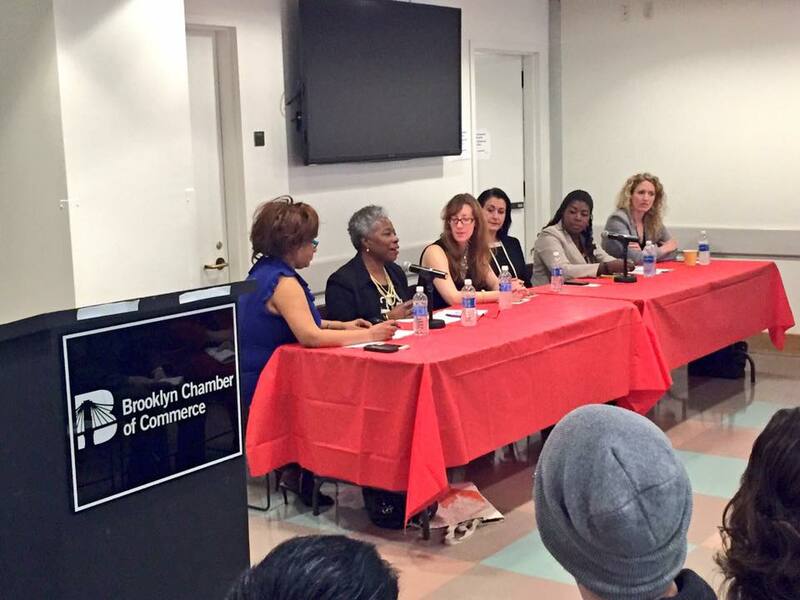 Hosted by the Brooklyn Chamber of Commerce, these outstanding women gathered with over 125 attendees to share their stories and give career and leadership advice, and were presented with an award from the congressional delegation to recognize their major contributions to Brooklyn. 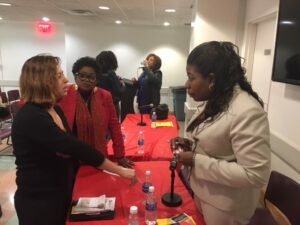 The event was organized by the Brooklyn Chamber of Commerce’s first female chair, Denise Arbesu and moderated by Toni Yuille Williams, the Director of Public Affairs of Con Edison, and Creator and Executive Producer of Brooklyn Savvy–a community-produced talk show that gives voice to social issues from a woman’s perspective. 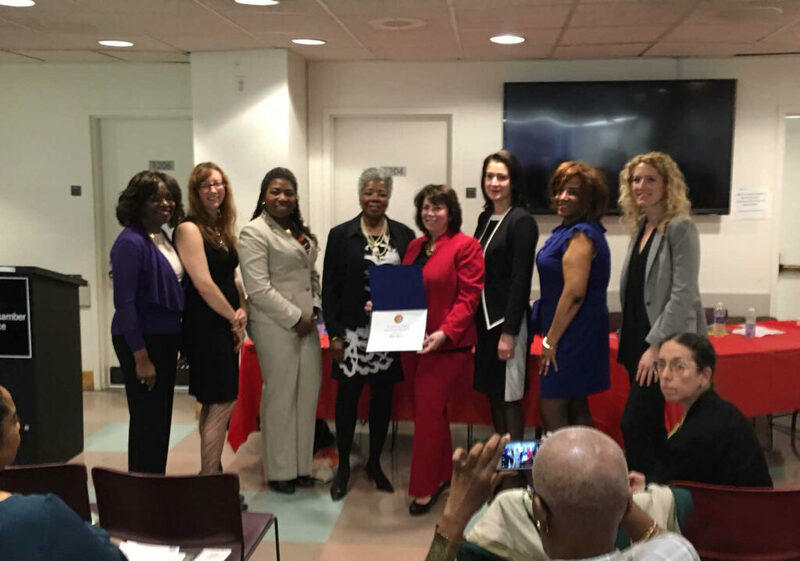 Congresswoman Yvette Clarke’s representative Dale DeGale, Community Development Director, presented the women with a “Certificate of Special Congressional Recognition” for outstanding and invaluable service the community. 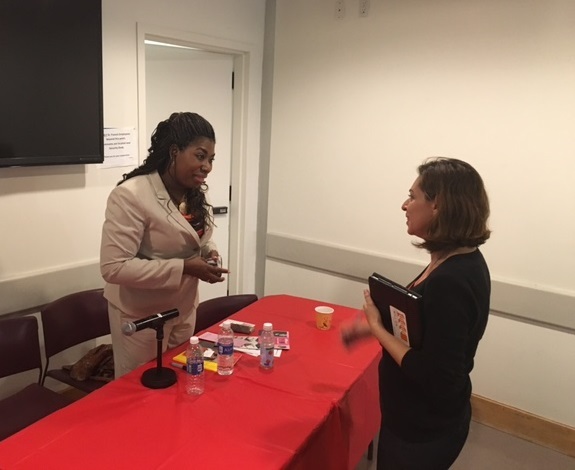 “I was deeply honored to be part of this panel of powerful women and moved by Congresswoman Yvette Clarke’s wonderful recognition of us,” said Capalino+Comany’s Tunisha Walker. The inspiring panel talked about the influential figures in their lives and some of the challenges that they accounted on their way to success. Valuable advice included making sure you have a clear vision of what you want to achieve, finding peers that share your values, knowing what you will and will not accept, and reaching out for support when you need it. Themes of perseverance, inner strength, and giving back what you have learned to help others were echoed throughout the morning. 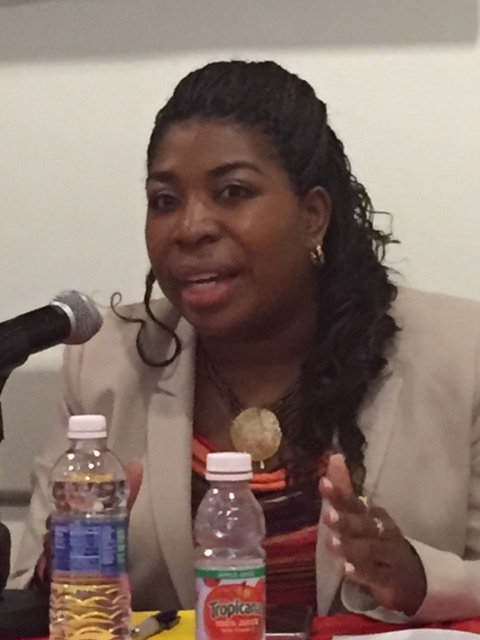 Tunisha was the first African American woman to hold the position of Executive Director for the New York State Senate Conference of Black Senators, and has succeeded in numerous leadership positions in government and the community. She has worked tirelessly throughout her career to make sure that communities of color continue to have a voice and equality for all. As native of Brooklyn, Tunisha regularly donates her time and expertise, and has become a role model for many young women seeking career guidance. Penda Aiken – Owner, Penda Aiken, Inc. 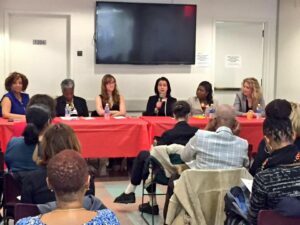 This candid panel was a true celebration of possibilities and community among women. Attendees left feeling hopeful, excited and empowered. 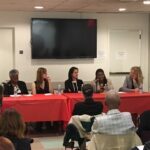 Denise Arbesu, Chair of the Brooklyn Chamber of Commerce and Senior Vice President of Citibank, encouraged the next generation of women leaders. “We’ve chipped the glass ceiling thanks to such great women as Nydia Velazquez, Yvette Clark, Kirsten Gillibrand, Tish James, and many more on whose backs and shoulders we all stand. It’s now time for us up here to help you and surely pass the baton to you,” said Arbesu, who was the first woman and Latina to be elected Chair in nearly 100 years of the Brooklyn Chamber of Commerce’s great history.